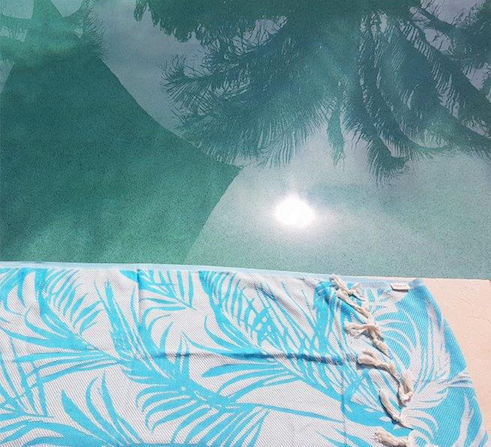 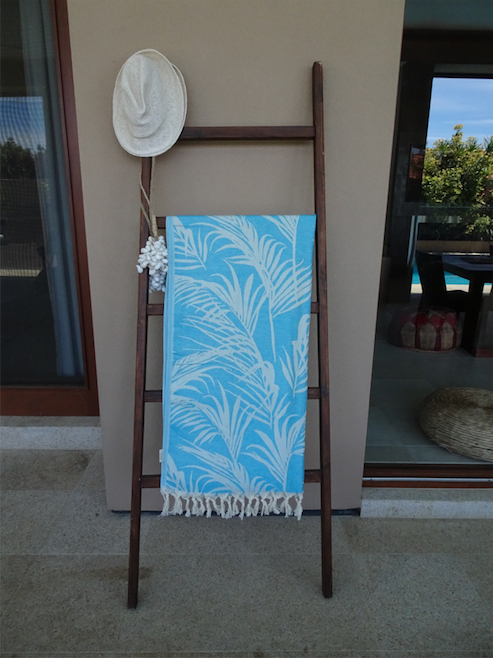 Tropical inspired Palm Springs Turquoise reversible Turkish throw towel. 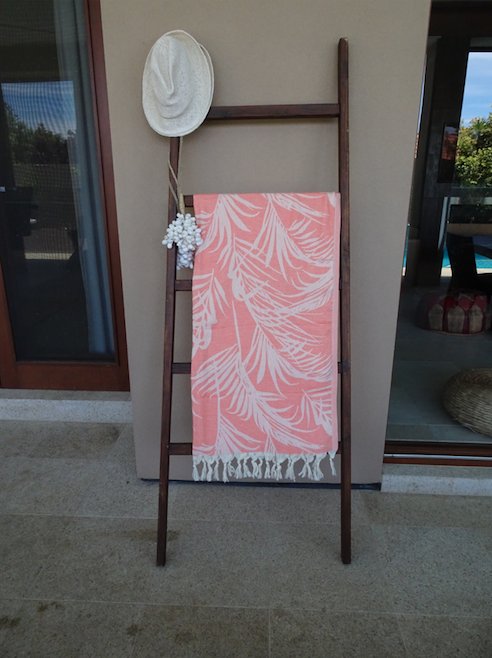 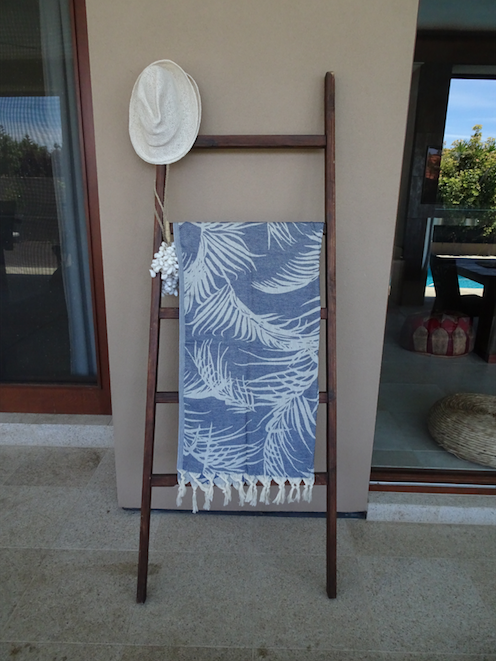 Our Turkish towels can be used as a beach or bath towel, throw for your bedroom or lounge and also as a sarong. 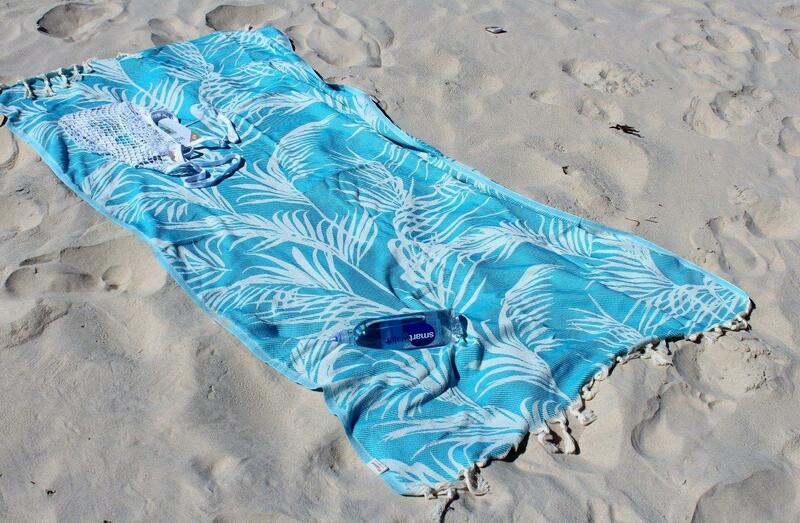 No two towels will be identical. 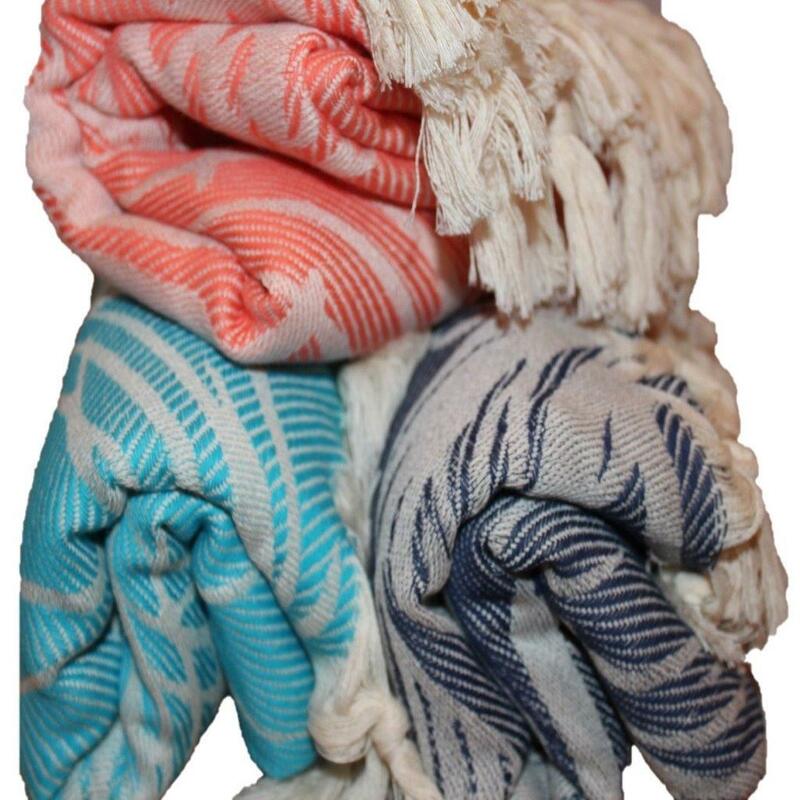 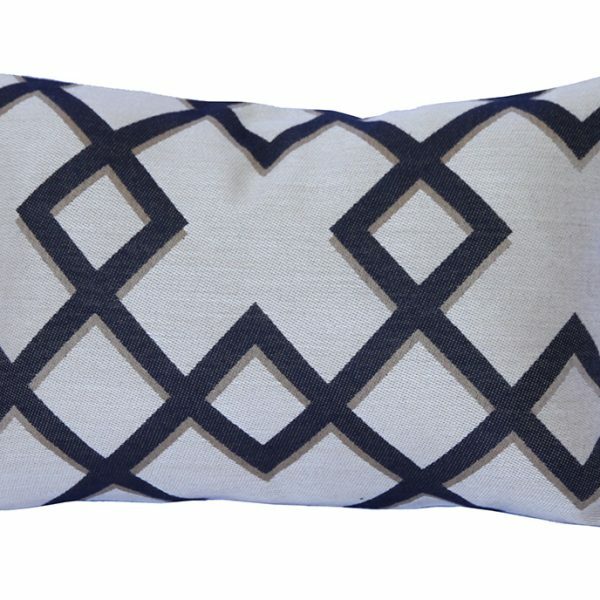 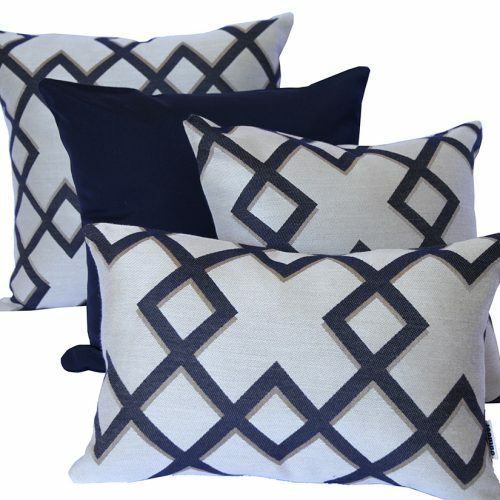 This is due to the nature of our hand loomed or semi hand loomed throw towels. 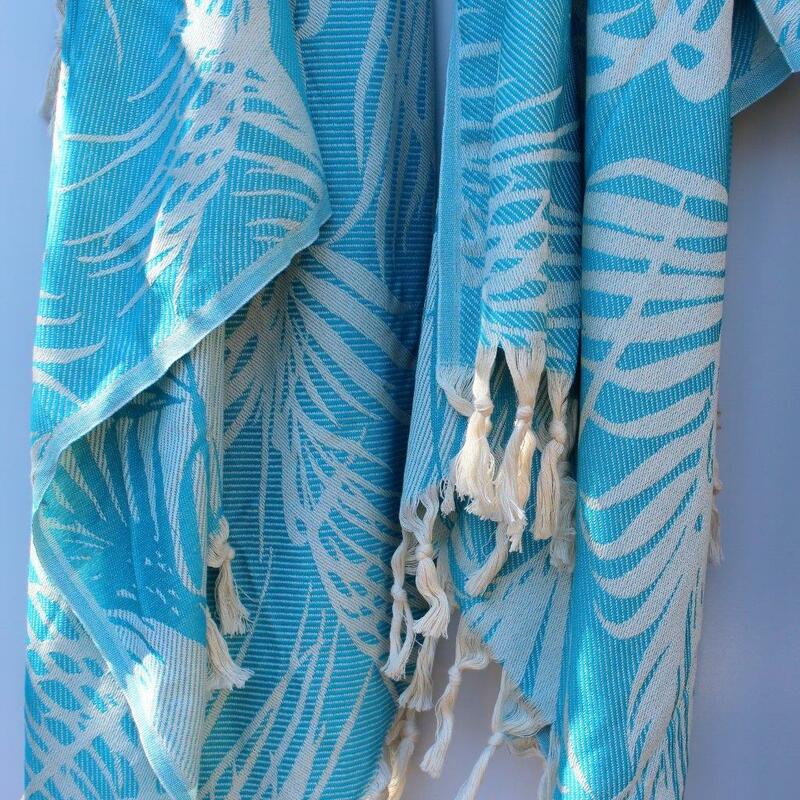 Our Turkish towels may have variations in colours or small irregularities in the weave.